Is Venice worth visiting for a day with toddlers in tow? 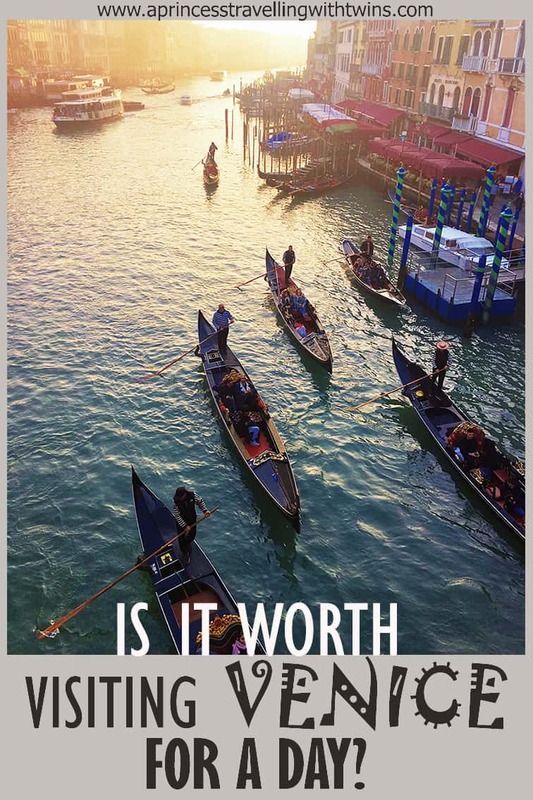 Is it worth spending only 24 hours in Venice? Answer is absolutely! Venice is a magical place so even if you have only a day you will still enjoy it! Of course ideally you want to stay there at least 3/4 days, but for us this time it wasn’t possible. I have been many times in Venice but this was the first time for my husband as well as Liam and Santiago (now almost 3years old). Many people will think that Venice is not a good place to go with toddlers, but I disagree. 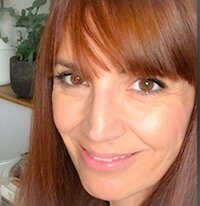 You do need to be a bit more organised, choose a bit more carefully where to stay, and plan more in advance the logistics of the day, but for our boys it has been super fascinating! Our flight landed around 11am at Venice Marco Polo. From the airport you have several options to continue into Venice. If you are happy to spend a bit of money I think the most glamourous way to introduce yourself to Venice is to get a water taxi. It costs around Euro 110 one way for up to 10 people (the biggest taxi boat). We wanted a cheaper option than the water taxi, but something more exciting than the bus, so we decided to get a boat. Alilaguna is a company that offers boat sharing connections from the airport to several places in Venice. 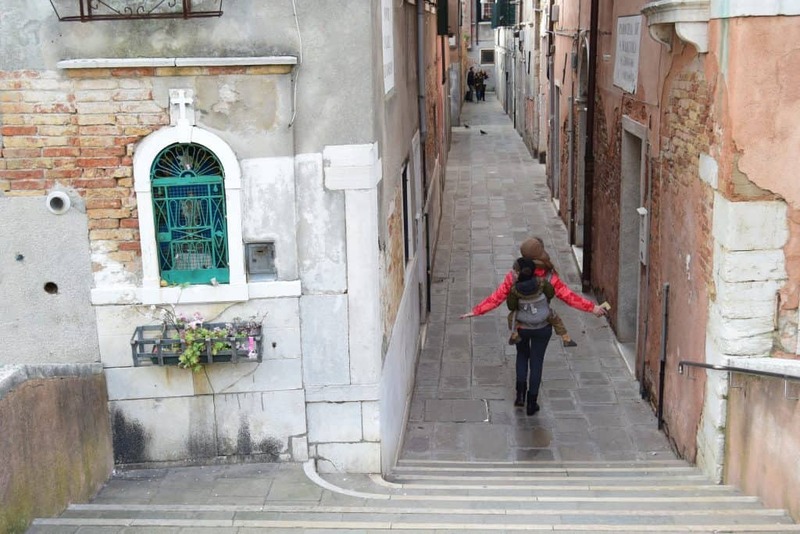 Depending on where you stay this could be the most convenient option, Venice is full of Bridges so if you arrive at the train station you may have to drag your luggage and pram up and down a lot! On their website you can see the 3 different lines and where they are going. It cost Euro 15 one way and kids under 5 are free of charge when they travel with a paying adult. 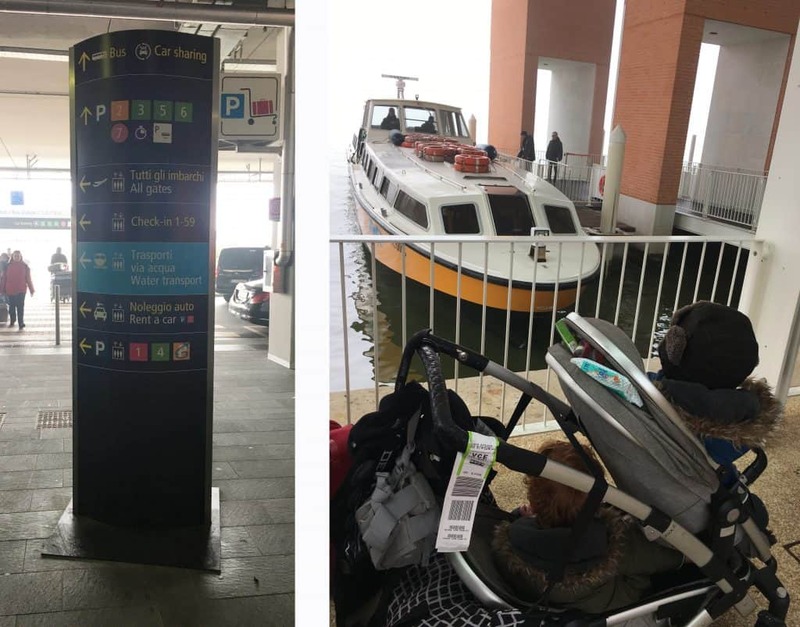 To get to the water transport after you pass customs, look for the blue sign that will direct you towards the left hand side of the terminal and with the moving walkways in less than 10 minutes you will arrive at the pier where the boats leave from. Tickets can be bought just in front of where the boats depart. 24 hours in Venice. Direction to get to the water bus. Just outside the airport there is also a handy shuttle bus that in just 20 minutes for Euro 8 (or Euro 15 return) will bring you directly to Piazzale Roma, the last place where cars can arrive in Venice. Of course also normal taxi are available. Again water-taxis are the coolest system to move around (if money is not a concern), but always ask the cost before you board! 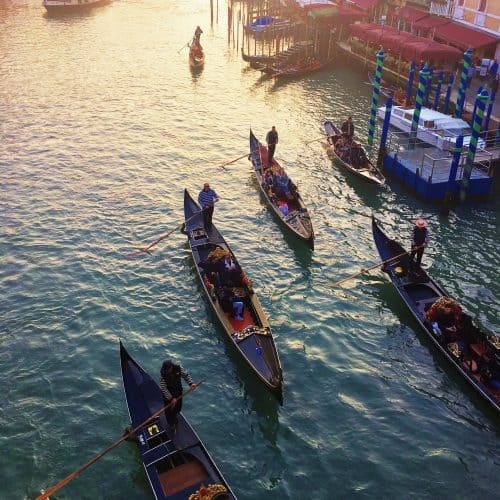 The most common system is the Vaporetto, a slow sharing boat, or water bus if you prefer, that sails the Canal Grande and also connects Venice with the several smaller islands across the lagoon. Tickets can be bought at the pier offices or at the automatic vending machine, you can choose between a daily (or multiday) ticket and just a one way ticket. Last but not least you can of course use a Gondola, it is more common to have a half hour gondola tour (Euro 80 during the day), but you can of course negotiate the price to go somewhere specific. Gondolas carry up to 6 people so if you share it with friends or family it isn’t as expensive as it may seem at first. When I chose our accommodation I took into consideration a few things: I wanted a place that was not more than 12-15 minutes walking from Piazzale Roma, (because we rented a car to get to the mountains after our Venice day) and not more than 5-6 minutes walking from the airport water bus stop. I chose the hotel Abbazia: near the station and with a really good price for a family room. If a location near the station is good for you then I can really recommend it. The People were lovely and really welcoming and the room was big enough to accommodate 2 cots that they provided. 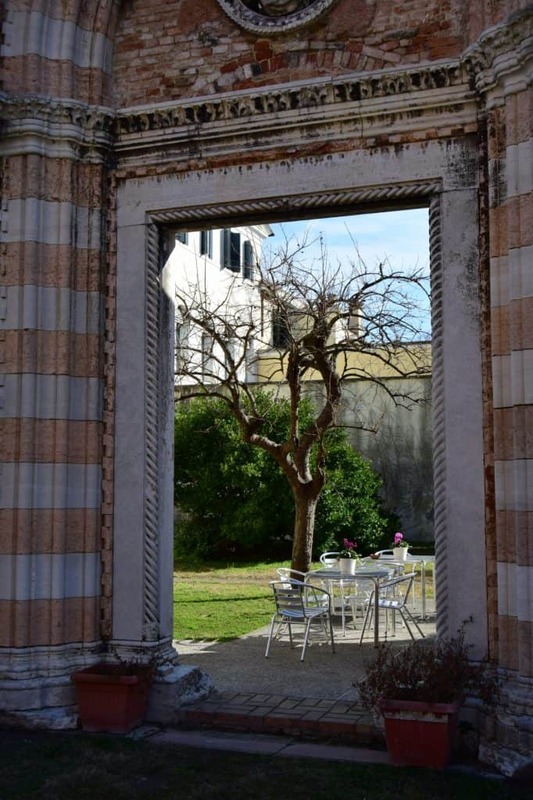 There is also a lovely internal courtyard/garden that we haven’t used because it was too cold, but I believe that in summer you can probably eat breakfast out there. Breakfast was good, with great variety from cold meat, cheese, and eggs, to croissant, yogurt, and cakes. Better to stay in Venice or outside? 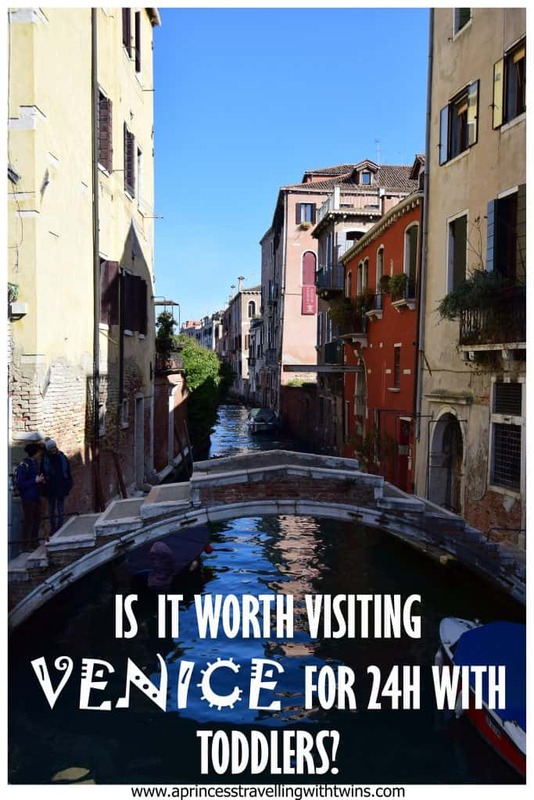 If you are on a budget then Venice could present some challenges, hotels are usually really pricey and with poor value for money, but, even on a budget I would not recommend you to take a hotel in Mestre or nearby areas. It is true that connections are really good but the magic of Venice is to get lost in the small streets in the evening, it is to enjoy the deserted areas just behind the most touristic attractions, and to really take advantage of every second of this incredible city…it isn’t about running back and forth to the train station. Hotel Abbazia is a lovely hotel, really convenient, and with an amazing value for money, but you need to book in advance as it is fully booked most of the time. I discourage using Airbnb in Venice because, as in many cities affected by over-tourism, here it lost the principles once behind the company. 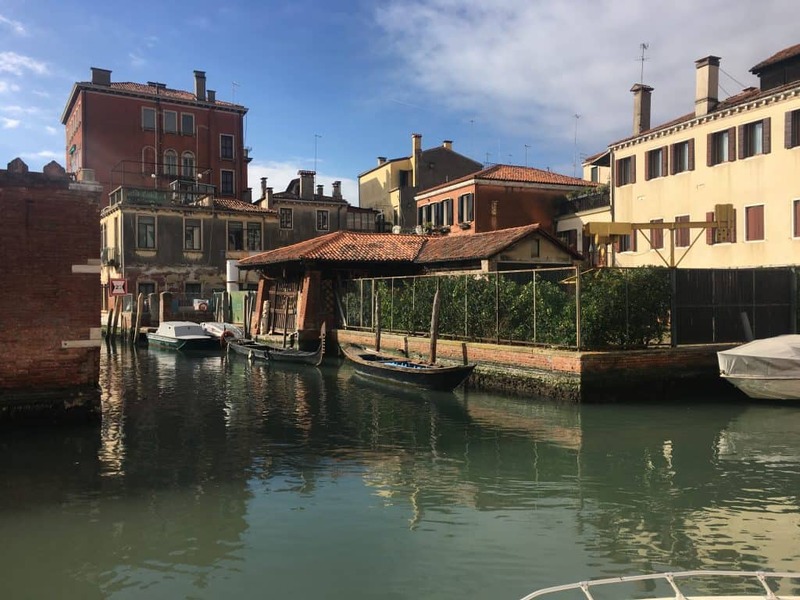 People now buy accommodation to refurbish them and rent them as part of Airbnb, and so Venetian people need to move out because of the lack of available housing. This doesn’t mean that all the Airbnb are like this, but maybe you need to put more effort into searching for the right one. The Gritti Palace: one of the historical palaces of Venice from the 15th century overlooking the Canal Grande and really close to San Marco. If you like opulence then this is your place. As soon as you enter you will feel you have stepped into an old Kingdom. What I like most? The Riva Yacht Experience that is reserved only for hotel guests. hotel l’Orologio: here the past meets contemporary time. The palace has been refurbished keeping the original features, like the wood ceilings but with a totally contemporary look. A few steps away from the Rialto bridge means that will you not need to walk much to reach the most popular sightseeing. Charming House DD724: if traditional elegance is not your style, but like me you prefer boutique and design accommodation , then the Charming House DD724 will not disappoint you. 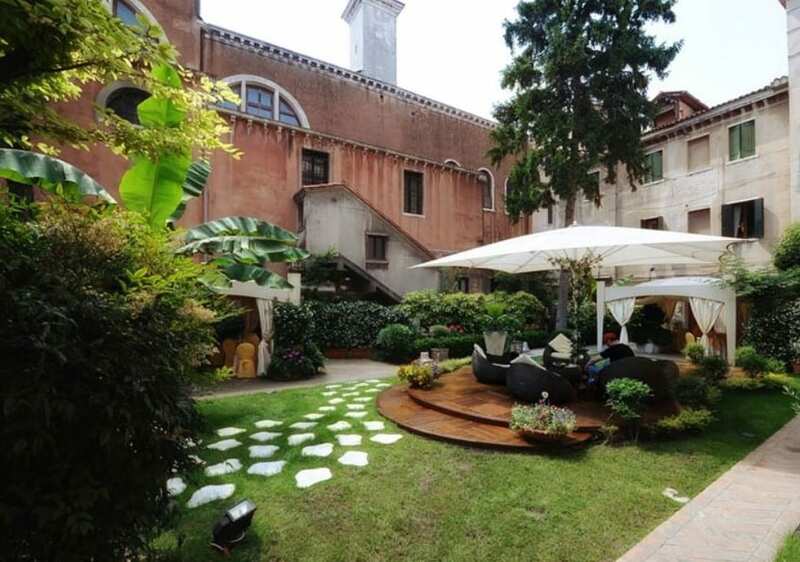 A dark palette with some accent colours and beautiful design furniture will welcome you in a location just beside the Peggy Guggenheim (where every Sunday there are free activities for kids). Elegance and attention to detail are the top! 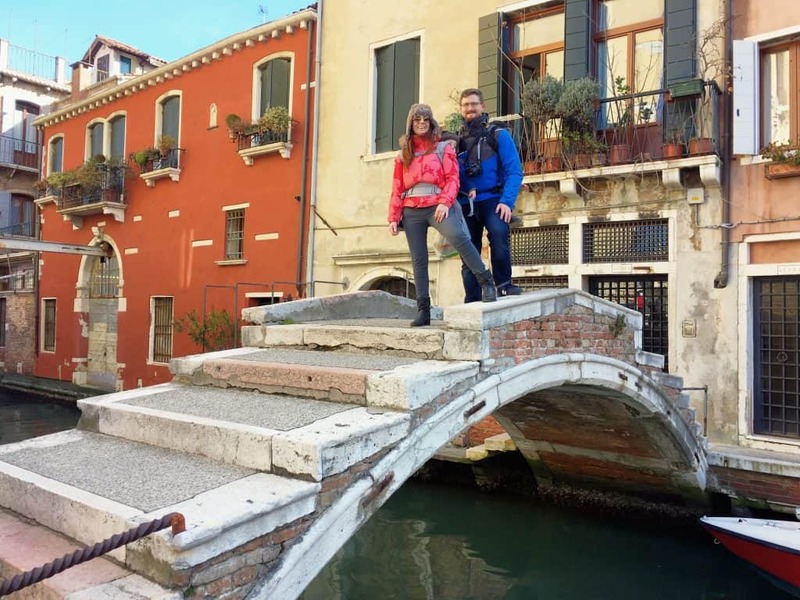 As I mentioned at the beginning I have been in Venice a few times previously, but my husband and the kids had never been, so I chose an itinerary that mixed off the beaten path routes with more touristic attractions. I need to add that the first time I’ve been to Venice I was really fascinated (of course who wouldn’t? ), but it has only been when I went there the third or fourth time that I really fell in love with it. Why, you may ask? Well Venice is super touristic and it is really tiring sometimes just feeling that you are walking in a flock of sheep, however the time I went there for the Cinema festival, was when I loved it most because I was going around without itinerary, just enjoying every corner and every small square where Veniatian people still live their everyday and I discovered another city. 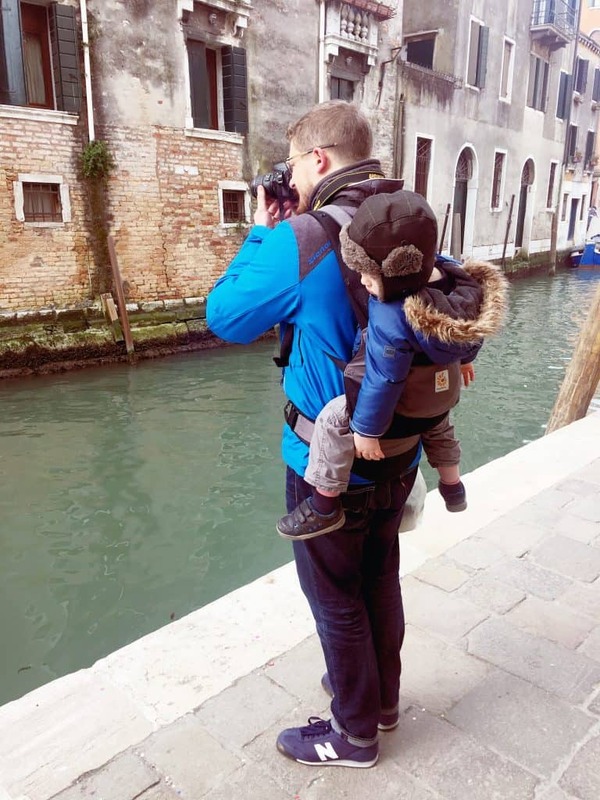 In Venice our favourite Ergobaby carriers proved once again to be invaluable and made moving around super easy having the boys on our backs, we had no problem to walk all the way from the hotel to Piazza San Marco. I recommend you spend the first couple of hours in Venice just wondering around. From the station to Piazza San Marco is around 40 minutes walking through the Santa Croce and San Polo neighbourhood (I would avoid the main road, it is always full of people and doesn’t allow you to enjoy the magic of the smallest streets (calle). 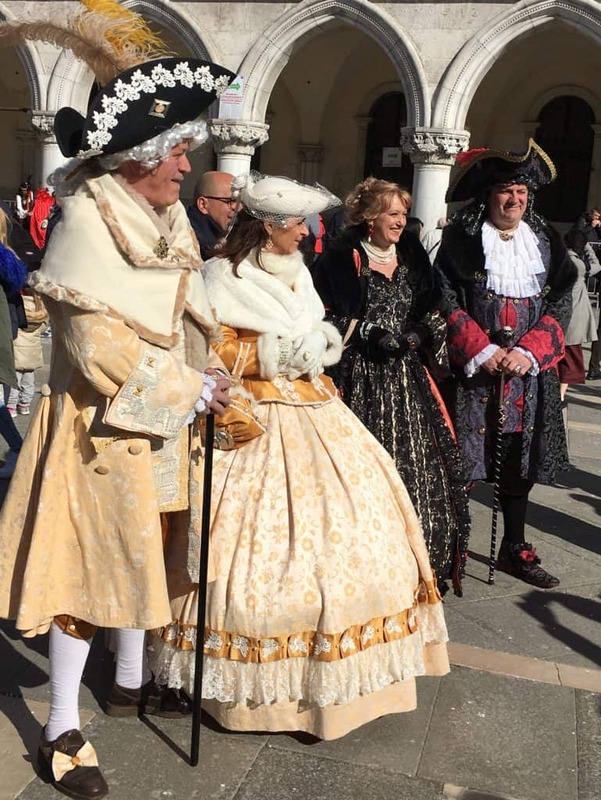 As I said is 40 minutes to Piazza San Marco but you can easily spend 2 or 3 hours stopping in the beautiful little squares (campi) or checking out the churches on the way. You can check out the lovely Campo San Giacomo dell’Orio, the Basilica dei Frari (small fee to enter, but one of the most beautiful churches in Venice with a Canova and Tiziano monument), and campo San Polo, before you reach the canal grande with the Rialto Market and of course the famous Rialto Bridge. Once you reach the Rialto Bridge you are only few steps away from Piazza San Marco. San Marco Cathedral is one of the most beautiful and jaw dropping churches I have ever seen. Unfortunately it isn’t a secret and the queue to enter is usually an hour long. In high season the booking system is in place so you can secure your spot and skip the queue, but in February I couldn’t book and we didn’t manage to enter. At this time, especially if you manage to enter San Marco cathedral or the Doge’s palace, had a walk along the Canal Grande and stopped for a coffee or an ice cream on the way, it is time to make your way to dinner. We had our restaurant booked for 7, so around 6:15 we took a vaporetto and reached Estro, the place we chose for dinner. HOT TIPS: Venice (like most Italian cities) is full of churches, most of them are beautiful pieces of art and don’t require a ticket to enter (or are really cheap 2-3 euro). 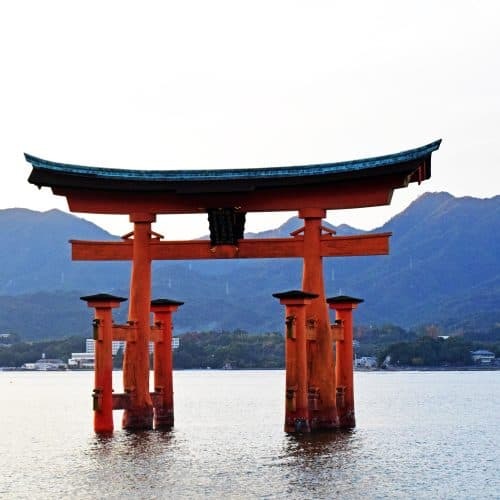 Usually they are open from 9am till 5/6 pm, but don’t forget they are holy places, so if you visit them in summer bring a shawl to cover your shoulders and knees. The second day, after a lovely breakfast, I had something special organized for Mark: a photography tour…2 and half hours to go around with a professional photographer and guide to learn about less well known areas and also more about photography. If you love photography I really recommend him. Marc de Tollenaere (originally from France) is a photographer and teacher at the Leica Academy, and he has published a few books about Venice. When people started to ask him about guiding them through the city he decided to get also the professional license necessary to be a guide. Mark and I followed a photography course in the past but from when the boys were born we found it really difficult to find the time to take out the camera and so we started to forget things. Venice is so enchanting that I thought it would have been the perfect place to do this and I was right! The weather was also amazing, sky was crystal clear like rarely seen in Venice. Starting at 9:30am we walked around the old “ghetto” until 12am, the areas we walked were quiet and we had the opportunity to learn a lot in a short time, not just from the photography point of view but also about an area that is less well travelled by tourists. 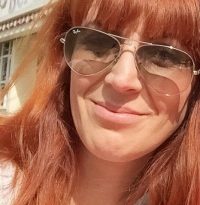 TOP TIP: if you have read any other of my trips you know that I usually love to take part in free walking tours. I usually find them really good but recently we had some challenges with the boys not being quiet enough or being impatient to move on or run around. If we had longer to stay in Venice I would have definitely joined one, but with only 24h I found the photography tour as a private solution perfect for us. Even if you are not joining a photo tour I suggest that you still explore the “ghetto” area. Over time the word ghetto gained a negative meaning, but initially it was a venetian word “geto” used to identify the area where metal was thrown, but pronounced in German became ghetto. The Venice ghetto is the oldest European ghetto and it is a really lovely area to walk around and see the everyday life of people living in such a special place. The Hostel is situated on the ruins of one of the biggest old gothic churches and you get a really peaceful feeling when entering this secluded space. If you continue to walk in Cannareggio (the name of the neighbourhood) you can then stop in Campiello del Remer, check out the Santi Giovanni e Paolo church, and then make a stop at one really cool place ,the bookshop “libreria dell’acqua alta”. After that it’s time to grab a slice of pizza in one of the bakeries you walk by and to make your way to the ferry terminal S.Zaccaria, just in front of the stunning hotel Danieli, where you can get on the Vaporetto n.2 and arrive to the little Island just across San Marco Square, San Giorgio Maggiore. I recommend you to go there especially if it is a clear day because you can climb up the church bell and you can get an amazing view of the Venice from the top. After this stop you will reach the end of 24 hours in Venice. 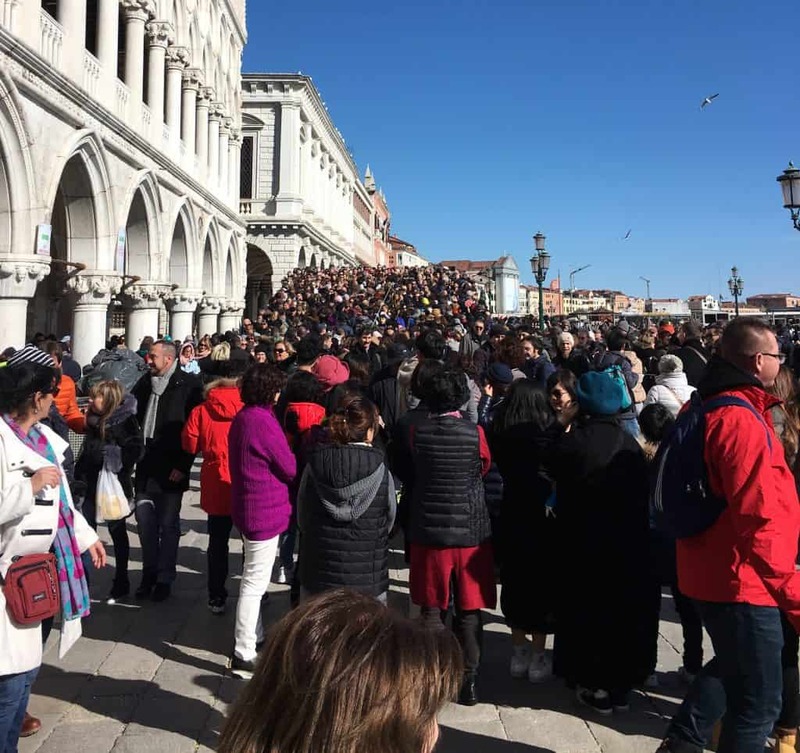 TOP TIP: To go back to the station from Piazza San Marco be careful with your time as the Vaporetto takes around 40minutes to sail all the way. In Venice, as in many touristic places, if you are not careful you could easily end in some terrible places. Venice is known for cicchetti, but many places are now just maximised for tourists with little authentic or tasty anymore. I made some research before to get to Venice and for the evening I chose a restaurant not open for long called “Estro”. Food offer was original, some plates took inspiration from the traditional but they were reimagined with a modern and interesting approach. Flavors were well defined and rich. 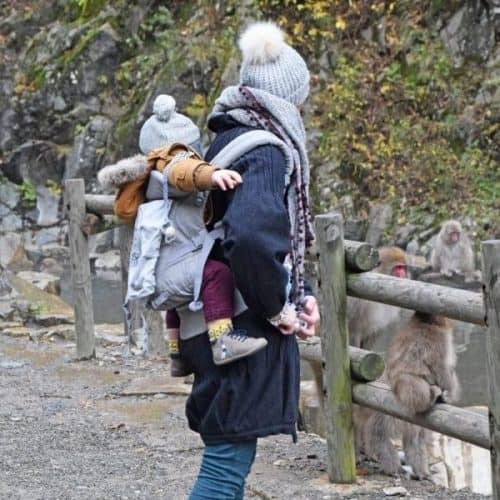 Is it a good place to go with kids? We felt really welcomed and the people were lovely, but the menu is not extensive, so if your kids are a bit fussy then maybe they will struggle to find something they like and I don’t think they have high chairs, but I would definitely go back! My choice was also based on the position of the restaurant as I know we would have been tired and I didn’t want to walk more than 10 minutes to get back to the hotel! so…in the end was it worth spending a day in Venice even with toddlers in tow? for us it was wonderful! 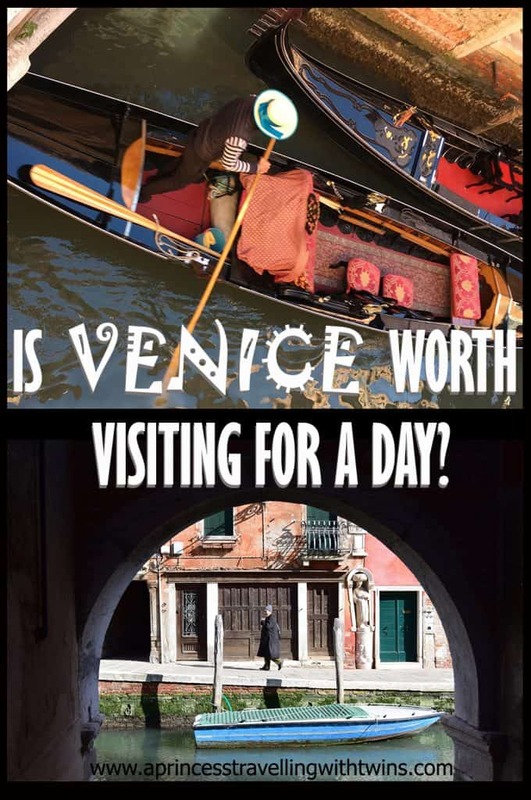 I hope you enjoy my 24 hours guide to Venice. Even if it is such a little city there is so much to do and see. If you discover some new exciting and un-missable gems please let me know in the comments because I will go back soon! Do you want to learn how to plan your families adventures? Grab my FREE 8 steps guide! 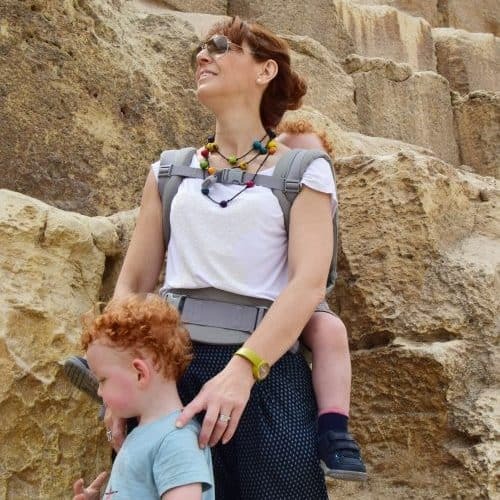 A princess travelling with twins is a participant in the Amazon Services LLC Associates Program, an affiliate advertising program designed to provide a means for sites to earn advertising fees by advertising and linking to Amazon.com.